Law firm Ballard Spahr has launched a special team to protect its clients from the consumer bureau. As the government's consumer watchdog cracks down on banks, debt collectors, student lenders and other financial players, law firms are stepping up to protect them -- and profiting nicely as a result. Since it was first launched a little over a year ago, the Consumer Financial Protection Bureau has proposed new rules for mortgage lenders and credit card issuers, and has gained supervision over large banks, credit unions, payday loan companies, private student lenders and credit reporting agencies. In the past few of months, it has taken two big enforcement actions against credit card issuers. Many financial services firms are scrambling to keep up, and law firms have been quick to capitalize. 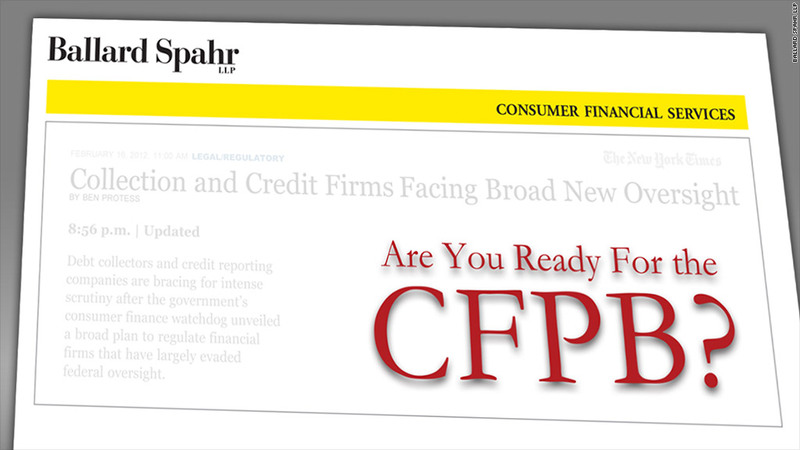 Ballard Spahr, a national law firm with more than 500 employees, began creating a team of lawyers dedicated to learning about the CFPB and its powers as soon as the bureau was signed into law under the Dodd-Frank Act in July 2010. The now 20-person team is part of the firm's Consumer Financial Services division, and CFPB-related work has increased the division's revenue by about 50% since its creation, said Alan Kaplinsky, chair of Ballard Spahr's Consumer Financial Services Group. "Things have exploded, and we've seen just the tip of the iceberg," said Kaplinsky. Loeb & Loeb, another law firm that launched a CFPB task force in July, has seen CFPB-related business pick up so much that its new unit is expected to account for 30% of the Consumer Protection Defense department's revenue within the next year. Law firms Venable LLP and Pepper Hamilton have also recently launched special task forces to take on the CFPB. Ballard Spahr's Kaplinsky likened the CFPB to a "three-headed monster," with a regulatory head that makes new rules, a supervisory head that examines the books of financial companies, and an enforcement head that cracks down on companies. Ballard Spahr's CFPB team helps about 125 clients fend off these three "heads" -- which is especially crucial for nonbank companies like private student lenders and payday lenders since they have never been subject to ongoing federal supervision before, he said. "Many of these companies are not prepared for what's about to hit them," said Kaplinsky. Currently, the CFPB is investigating dozens of companies, he said. The CFPB won't comment on its investigations. So far, many of these investigations are in the early stages, with several of Ballard Spahr's clients asked to fork over huge volumes of documents, including e-mails, training manuals and marketing materials. In one case, it would have cost a client $12 million to produce every single document the CFPB had requested before the firm negotiated with the agency to allow it send over fewer documents, he said. "The CFPB is not cognizant about what kind of burden they might be placing on a company," said Kaplinsky. "It looks like they're going on a fishing expedition, they go through so many papers ... eventually they will decide they don't see anything wrong or they will identify one or two practices [that they take action on]." Michael Thurman, co-head of Loeb & Loeb's CFPB task force, said third-party relationships with telemarketers and marketers are a big focus for the CFPB right now. Thurman said his seven-person team makes sure clients understand that if they use third-party service providers that violate the law, both companies can be held responsible. In its first public action in July, the CFPB ordered Capital One (COF) to pay $210 million in fines and consumer refunds after it discovered that the card issuer's third-party call center representatives were pressuring consumers into buying additional products when they were opening accounts. The bureau targeted Discover Bank (DFS) next, announcing in late September that the issuer will refund $200 million to more than 3.5 million cardholders and pay a $14 million penalty due to deceptive telemarketing tactics that misled consumers into purchasing add-on products, like identity theft protection, when opening accounts. The CFPB said its goal is to protect consumers from unfair practices, but it also wants to support honest businesses. 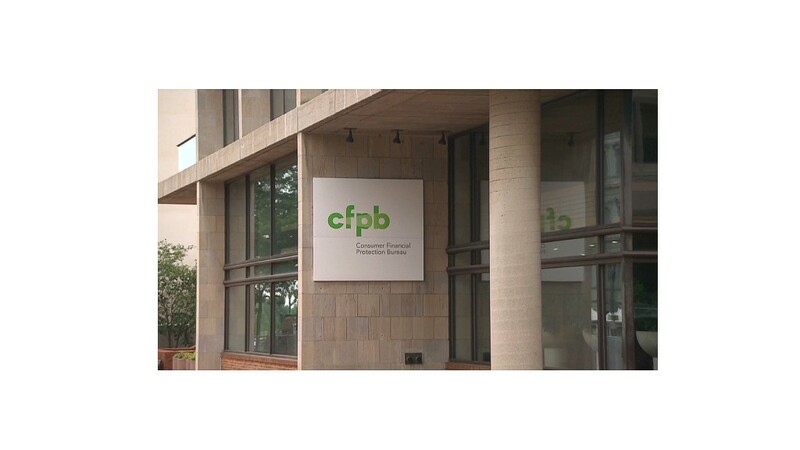 "The Bureau strives to be tough but fair and provides guidance to companies to help them know what to expect and that they will be held accountable for violating the law," a CFPB spokesperson said.